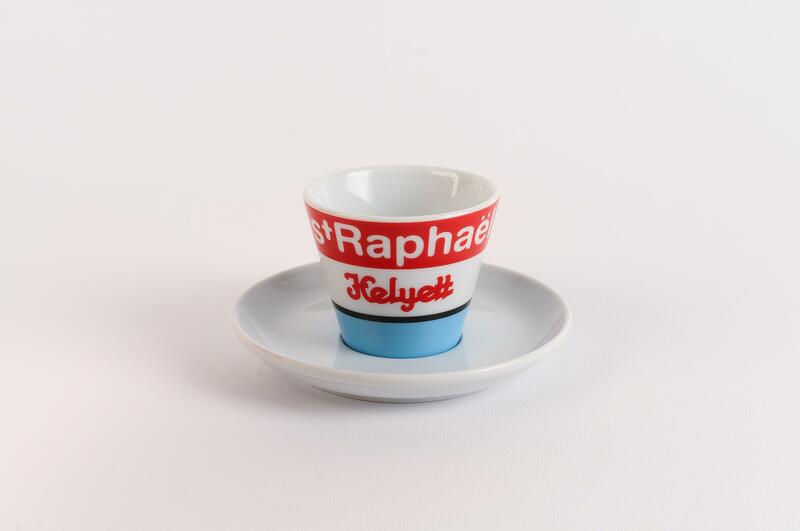 Super cool dinky little St Raphael espresso cup and saucer. 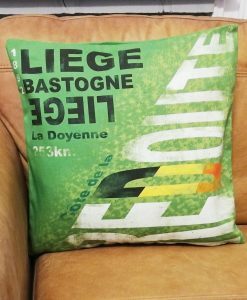 Featuring the eye catching design made famous by the legendary Jacques Anquetil. 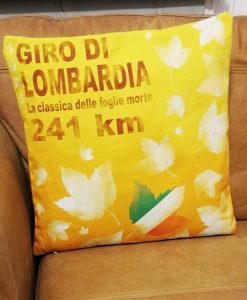 Another lovely cycling gift in the Cycling Souvenirs range. 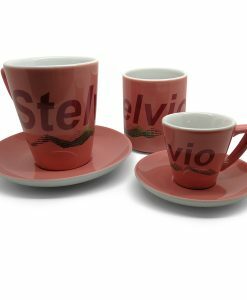 Authentic classic Italian design featuring thick walled cups. 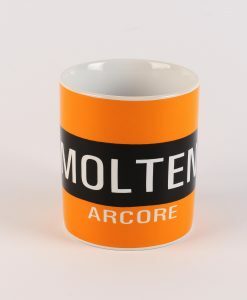 Consequently the cup insulates well and keeps the drink warm for longer. 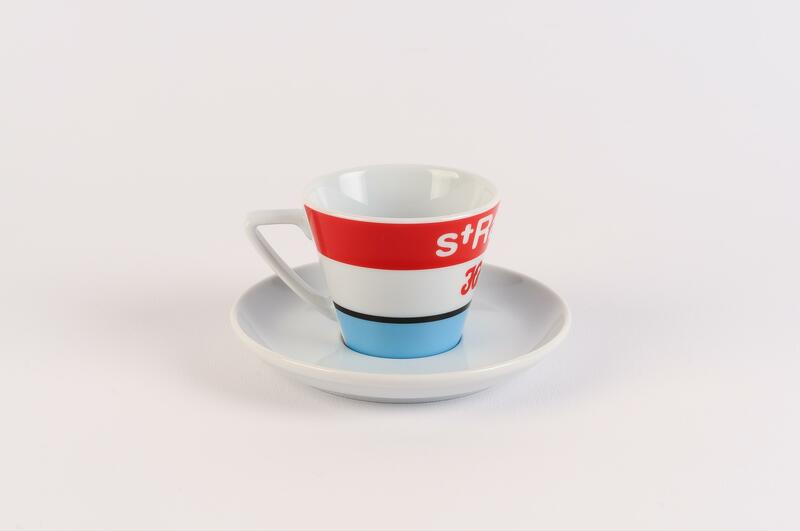 Conical, straight sided espresso cup. 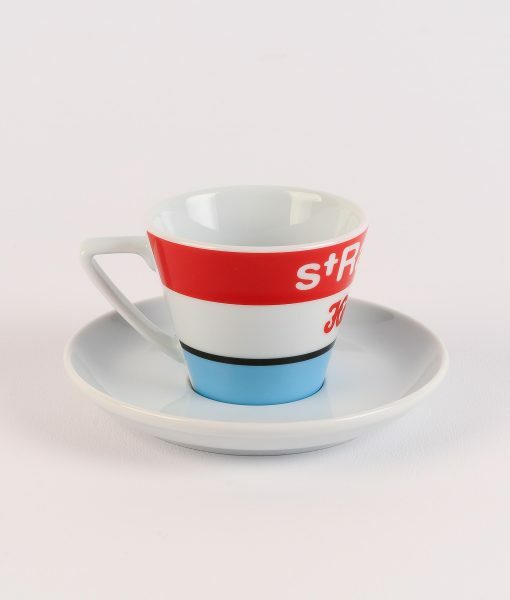 The cute cup is 80ml/3oz measuring 6cm in height. 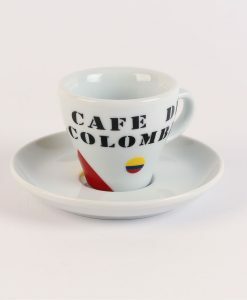 In addition the saucer is 10cm in diameter. 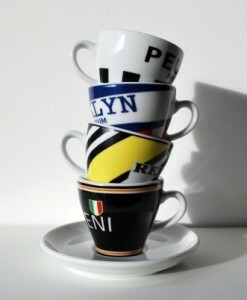 As a result it fits under the majority of automatic coffee machines. Old school production. 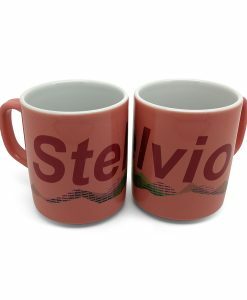 The cups are screen printed and cooked in a kiln in the heart of the UK pottery industry; Stoke-on-Trent. 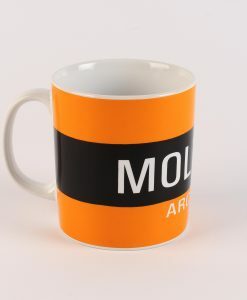 Consequently the finish is glossy, shiney and resplendent. Shouts ?vintage?. 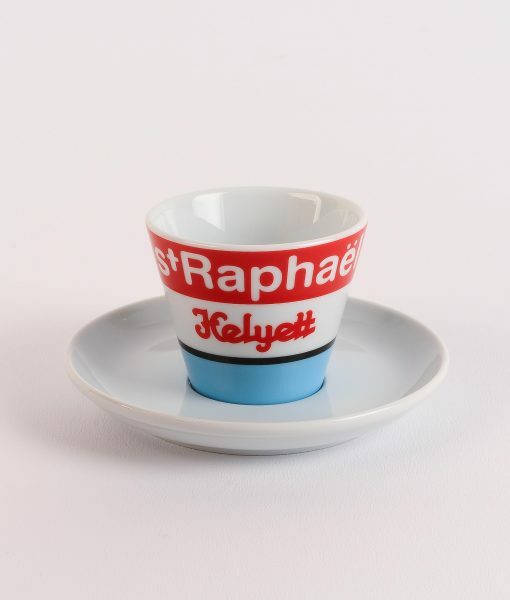 Therefore a wonderful cycling gift for the espresso connoisseur.